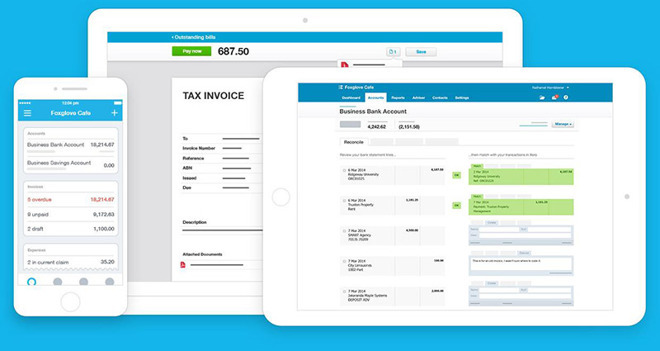 Starting Monday, subscribers of cloud-based accounting software firm Xero can offer their customers the option to view and pay off invoices using Apple Pay, streamlining and securing the often cumbersome payment resolution and reconciliation process. Xero, which currently boasts some 862,000 subscribers, is rolling out Apple Pay transactions in available markets through a strategic partnership with payments service Stripe. Small businesses using Apple Pay will see payments automatically logged and matched against Xero invoices in the cloud. With a low-friction user interface, the accounting service believes Apple Pay integration will help cut down on late invoice payments, an all too common problem for small businesses. Xero estimates more than 60 percent of the 15 million invoices its customers sent out globally within the past 30 days will be paid late. "Attaching a payment option to online invoices helps Xero customers get paid almost 80 percent faster than invoices that don't use a payment service - so they spend less time chasing unpaid invoices for a more productive and cash healthy business," said Xero CTO Craig Walker. "By enabling these connections with payment services, small businesses are able to offer multiple payment options on an invoice, giving them and their customers choice of payment and also the ability to pay the invoice as soon as it arrives, ensuring they get paid faster." In addition to quick payments turnaround, small businesses that opt to employ Apple Pay will benefit from the platform's built-in security features which decrease fraud and reduce the chance of chargebacks, the company said. Integration with Xero comes after Intuit added Apple Pay web payments to its QuickBooks Online service in October. After a U.S. launch in 2014, Apple Pay is slowly expanding beyond traditional banks and credit unions to include support for digital transactions. Apple recently enabled web-based payments in September, a feature made more useful with the inclusion of Touch ID in the new MacBook Pro lineup.